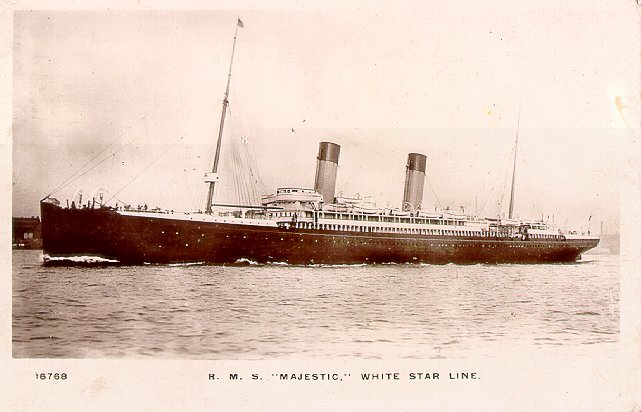 White Star's first Majestic, sister to Teutonic, was built by Harland & Wolff of Belfast. 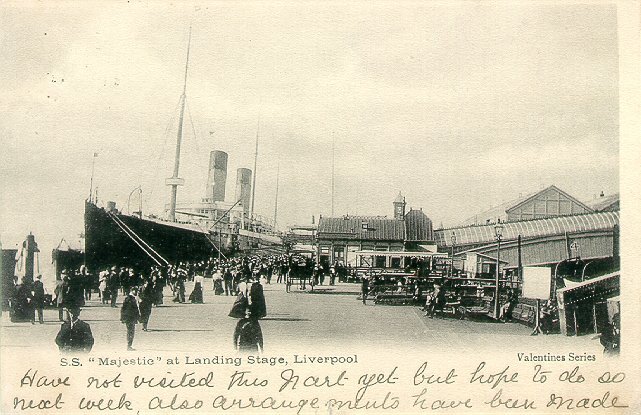 Launched in 1889, she entered service on 2 April 1890, with a Liverpool-New York roundtrip. 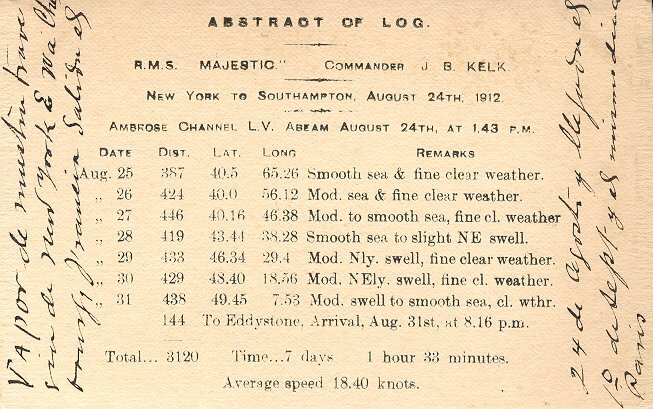 In July 1891, she captured the westbound Blue Riband on her only record crossing: 5 days, 18 hrs., 8 mins., for an average speed of 20.1 knots. 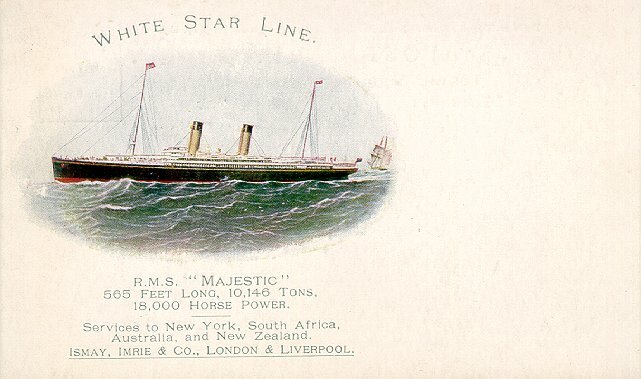 Except for two Boer War trooping trips to South Africa in December 1899 and February 1900, Majestic remained on the Liverpool-New York service until 1907. Along the way she was substantially remodeled in 1902-03, a process which included the installation of new boilers, the heightening of her funnels and the elimination of one of her three masts. Although the ship shown on the last card on this page is not identified, it appears to be Majestic after these changes were made. 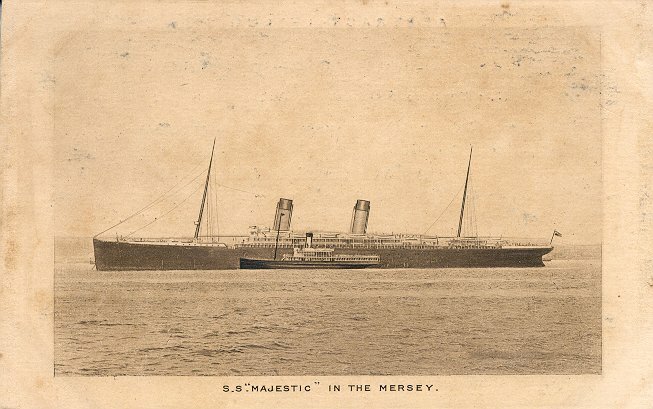 When White Star moved its principal service from Liverpool to Southampton in June 1907, Majestic was one of the four ships assigned there to maintain a weekly sailing schedule. (The other three were Adriatic (II), Teutonic and Oceanic (II). 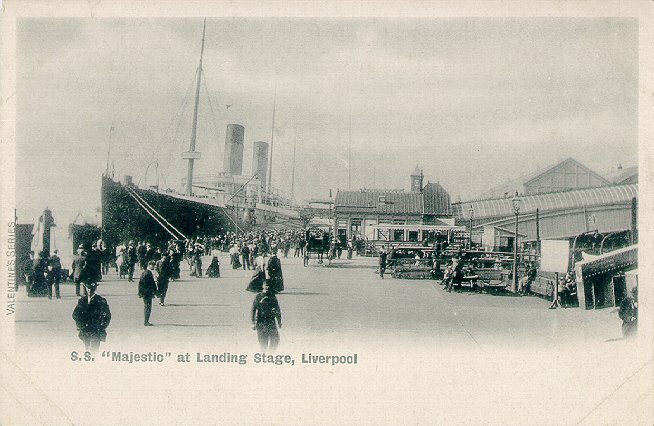 In November 1911, after Olympic entered service, Majestic was withdrawn and placed in reserve. 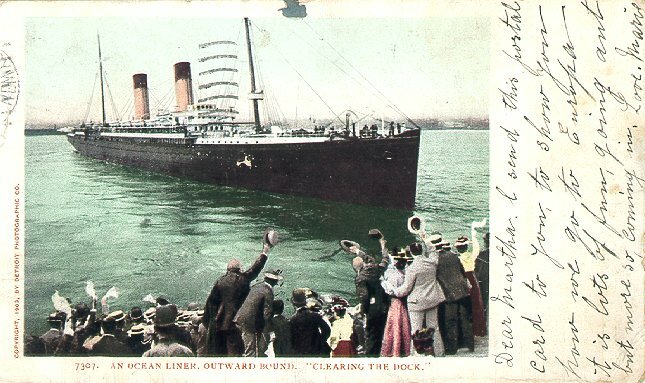 Six months later, however, she resumed her Southampton-New York duties as Titanic's replacement. 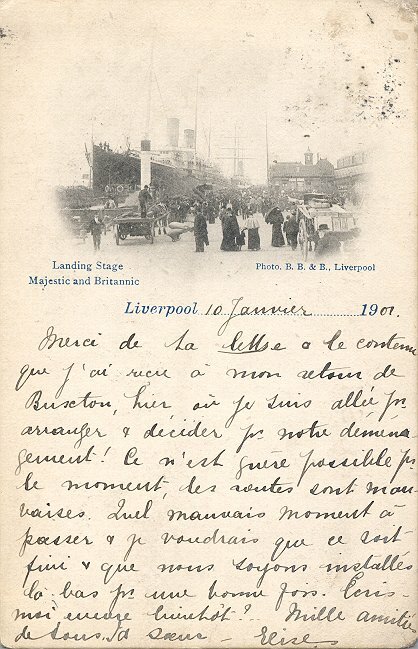 She made her last voyage on 14 January 1914 and arrived at the shipbreakers in May of that year.